What can Microsoft partners do differently in 2018 to make a business breakthrough? We put that question to 16 top experts, including Matt Scherocman, President, Interlink Cloud Advisors. For more tips on finding success in the Microsoft channel in 2018, read our full Marching Orders feature here. In 2018, look to make investments in new offerings. Technologies like collaboration adoption services, business intelligence, data warehousing and machine learning are just a few that are ripe with customer needs. The biggest challenge to the traditional systems integrator is recruiting talented folks who can lead these new practice areas and evolving the sales teams to be able to clearly articulate these value areas. 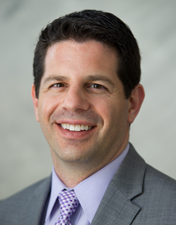 Matt Scherocman is president of Interlink Cloud Advisors, a born-in-the-cloud Microsoft partner based in Cincinnati, Ohio.